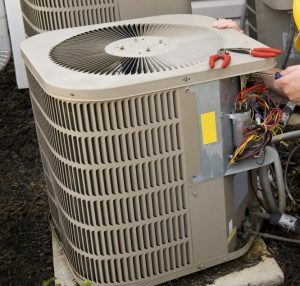 Summertime in Cary can be very warm, and if your home has an air conditioner that can’t keep up, then it’s important to have an AC repair company that you can trust. 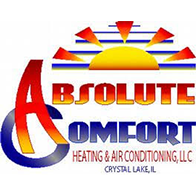 At Absolute Comfort, we can provide the cooling service you need to keep your home at an appropriate temperature all season long. 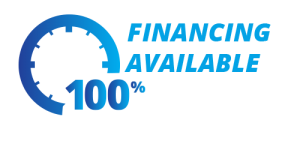 Contact us today to learn more! My AC Unit Is Making Strange Noises! This comment is one that we hear quite often, and if your AC is making noises that it shouldn’t, then it’s important to call a certified HVAC repair company as soon as possible. Our team can quickly diagnose the noise and provide the necessary repairs so that your air conditioning unit runs as it should – nice and quiet. Regular maintenance is often the best way to avoid cooling system problems, and we can come to your house each spring to tune up your AC and make sure there are no loose parts that could lead to strange noises or unwanted malfunctions. The last thing we want is for you and your family to be sweating because your AC shut down in the middle of July! If you’ve just moved into your house, or you know that it won’t be long before your current AC unit is no longer viable, then let us help you choose a new air conditioner. Installing a new unit can seem costly, but the amount it can save you in monthly energy bills can more than pay for itself, in time. Our HVAC experts know how to choose the appropriate size and model for your home, and they’ll take care of removing the old unit and putting the new one in place. If you want your home in Cary to be cool and comfortable all summer long, then give us a call today. You can reach us at (815) 893-9276, or you can fill out the form below and a member of our team will respond as soon as possible.